Wrights Plastics is a leading provider of laser cutting services across a range of substrates. Our investment in cutting-edge profiling machinery and software, expert operators and full project support makes us the #1 choice. 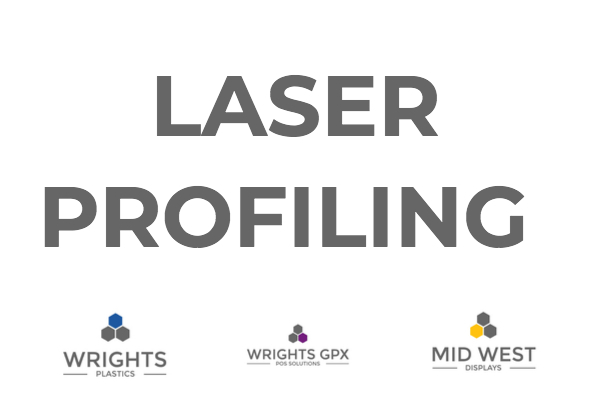 At Wrights Plastics we have over 50 year’s laser profiling experience. Our inhouse CAD and value engineering teams maximise efficiency from the very start of your project. If you need help with your design these are the boys and girls to help. Our profiling team make sure every job is done to exacting standards. The project management team smooths everything from initial quote to delivery. Since 1969 we have established an unbeatable reputation for quality, service and value. Our investment and expertise means we are able to undertake most projects – from one offs & prototypes to high volume profiling, complex laser profiling and projects that require a fast turnaround. Lighten Up. Great reasons LED illuminated signs mean business. How ‘Green’ Is CNC Routing?